The 2012 edition of our annual technological fest, held during the extravaganza that is Kshitij, was a resounding success, with several hundreds of teams from across the country and beyond, turning up to tackle our challenging and innovative problem statements. As is our tradition, there were manual, autonomous and image processing events to test all the fundamental abilities needed for designing and operating robots. From the 27th to the 30th of January, the area around the TRS laboratory, which served as the site of the events, was filled to the brim with enthusiastic students working to tune and perfect their creations. And the six events lived up to the expectations. Vertigo had the participants grappling with the first problem statement of its kind, involving the traversal of zip-lines by robots while dropping objects in targets. Inferno required teams to build a fire-fighting robot which could rescue objects and douse fires. Stasis was the ultimate test of balance and precision as robots tried to move over all kinds of terrain while conserving as much water in a container as possible. Stalker involved two fully autonomous robots communicating with each other so that one could replicate the path of the other, on different surfaces. Nuke-Clear required the designing of a robot which could detect bombs, plan a route to them from an overhead camera, and defuse the bombs by pressing a button, all through image processing. And the online coding event, Echelon, required an adept use of Natural Language Processing (NLP), a very important concept in artificial intelligence, to determine authorship of certain lines in a chat log. 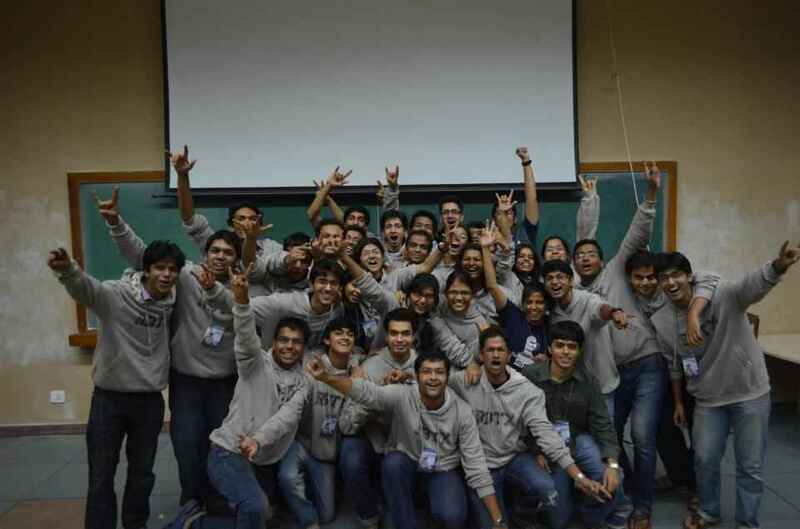 All in all, the 4 days of ROBOTIX 2012, which was the culmination of a year-long effort on the part of the people of Technology Robotix Society, was a truly memorable and enriching experience. And it has re-affirmed the resolve of Team Robotix to continue striving towards providing the best possible platform for students across India to explore the wonderful and intricate world of robotics.